3/4" Adaptor Kit for Tap Conversions 1/2" to 3/4"
Use to convert 1/2" reviver kits to 3/4". Easy fitting. 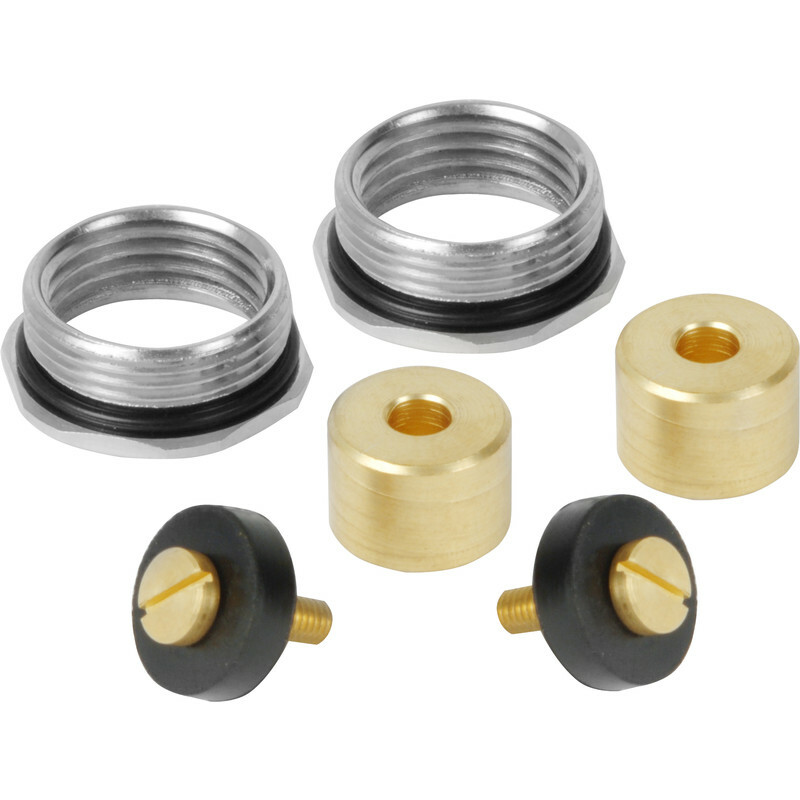 3/4" Adaptor Kit for Tap Conversions 1/2" to 3/4" (2 Pack) is rated 2.4 out of 5 by 5. Rated 3 out of 5 by plumberjohn from Not multiple use This conversion kit will only fit old type taps. (Most modern taps rely on the tap washer being pushed on and not screwed). It relies on the tap being replaced to have a screw securing it to the tap .Therefore it will not extend on most modern 1/2" tap replacements However still a handy bit of kit . Rated 5 out of 5 by Paul S49 from Great value. Bought recently to convert ½" tap heads to ¾", unfortunately the tap heads still did not work with my tap bases so will have to change the whole taps. Rated 1 out of 5 by Snai from Easy fit, NO, Impossible fit Was meant to adapt 65471 to 3/4" fit. It said EASY FIT, yet it is impossible fit as kit is screw fit of washer and 65471 has a spigot fir washer. Also, two "O" rings missing from kit. Rated 1 out of 5 by MrCheerful from Not suitable for quarter turn taps. These do not fit the quarter turn taps, this should be written in the catalogue. Still, easy return.